The Mantis Xenon Vibe is a good all-round, evenly balanced squash racket for intermediate players which has both power and control potential. The control attributes come from the closed-throat design and the power is provided by the larger head size and the resulting bigger sweet spot. This means the hitting area is increased and off-centre shots are less disadvantageous. The graphite construction keeps the racket strong, and it comes strung with a T-Power White string. 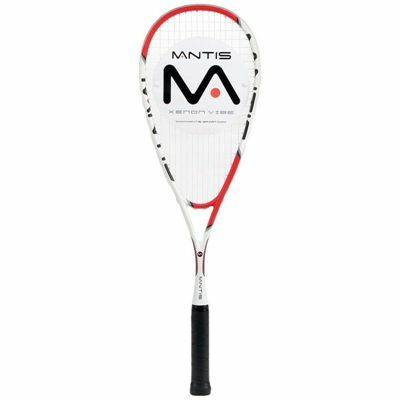 for submitting product review about Mantis Xenon Vibe Squash Racket.